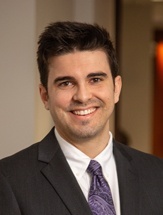 Adam Mills represents plaintiffs and defendants in complex trial and appellate litigation. Before joining the firm, Adam served as a law clerk to the Honorable Amy Totenberg in the U.S. District Court for the Northern District of Georgia. Adam received his law degree from Harvard Law School and his Bachelor of Arts degree from The University of Alabama. He has worked on legal issues related to data privacy, job discrimination and deceptive advertising statutes.